Braun Strowman returned to the ring on Raw's go-home show for the Royal Rumble. Strowman faced Finn Balor on Monday's Raw, and Balor won by disqualification when Universal Champion Brock Lesnar interfered and gave Balor the F-5. Balor had hit the Coup de Grace on Strowman before Lesnar caused the DQ. 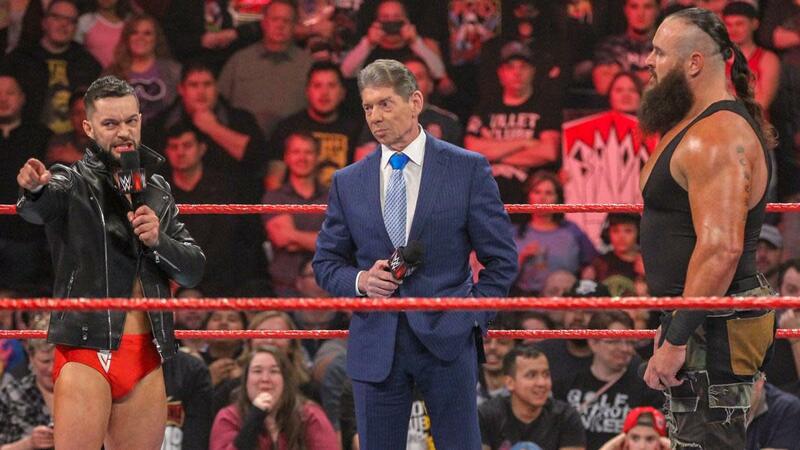 Balor vs. Strowman was set up during Raw's opening segment, with Vince McMahon calling it a real-life David vs. Goliath story. Strowman had interrupted Lesnar, Paul Heyman, and Vince. Strowman told Lesnar he was lucky that Strowman is no longer challenging for the Universal title at the Royal Rumble. Strowman said he's coming for the title after the pay-per-view. Balor then joined them in the ring before his match against Strowman was made. Strowman has been out of action since an injury angle where his elbow was "shattered" on the November 19 episode of Raw. The angle was a cover for Strowman legitimately needing surgery to remove bone spurs in his elbow. Strowman had the surgery done on November 27 and technically faced Baron Corbin at TLC in December, though Strowman didn't get physically involved in that match. On last week's Raw, there was an angle where Strowman was fined $100,000 and removed from his match against Lesnar at the Royal Rumble, with Strowman destroying Vince's limo while he was trying to find Corbin. Balor will instead challenge for Lesnar's Universal Championship at Sunday's PPV in Phoenix, Arizona.